*Save up to $42 MORE on the total package price when adding tires! Anthem Off-Road was founded in late 2013 and started shipping product in mid-2014. All of our wheels are designed with feedback from a dedicated group of thousands of truck and Jeep owners. All wheels, tires, and suspension parts ship for free within the Contiguous U.S. Shipping to other locations will be calculated at check-out. We are able to ship worldwide. Please allow 5-7 business days from payment to delivery for wheels only, and 7-12 business day for full wheel and tire packages. If shipping outside of the Contiguous U.S. the transit time will be longer. Wheel only shipments typically are sent via UPS. Full wheel & tire packages are typically sent via an LTL trucking company. In either case, your order is insured against damage and you will receive a tracking number. 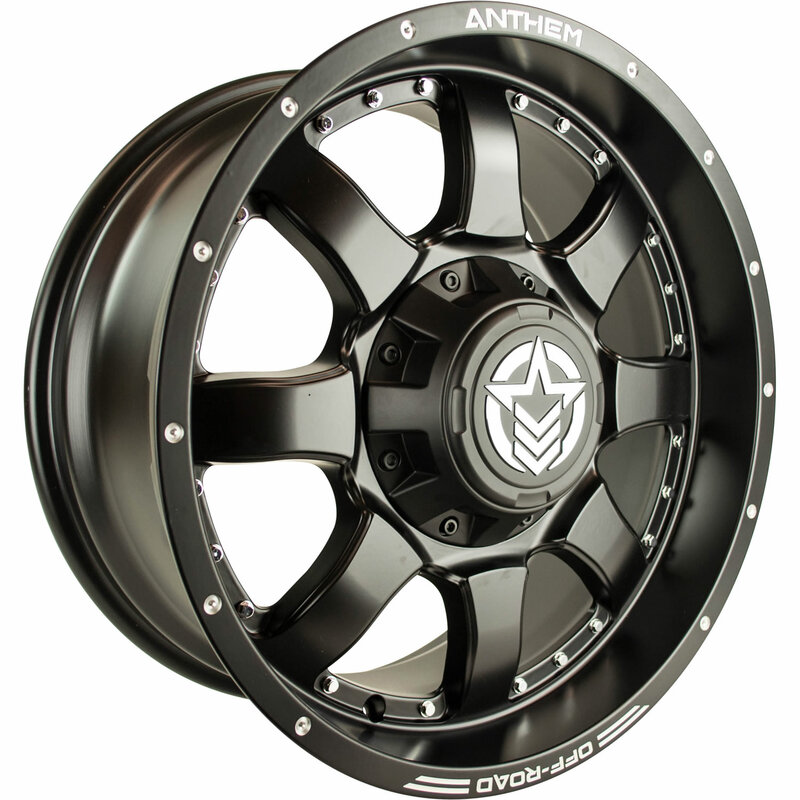 All Anthem wheels come with a lifetime structural warranty and a one year finish warranty against defect. View full warranty information on our policies page.